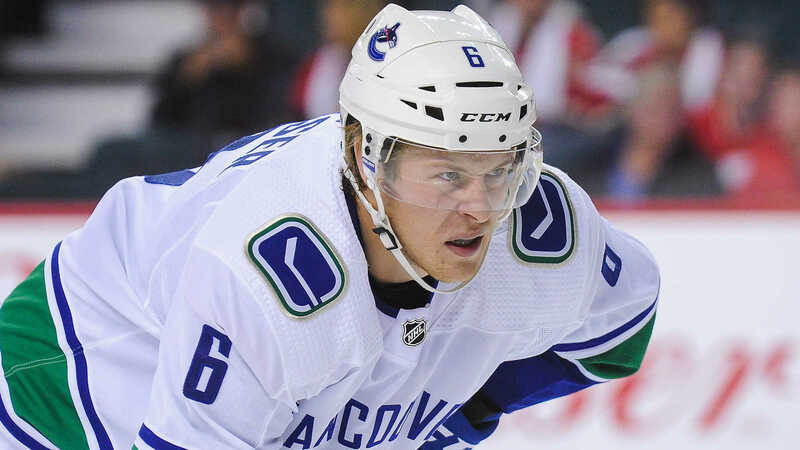 Canucks forward Brock Boeser has been sent back to Vancouver to have a nagging groin injury examined by a specialist, the team announced Thursday. He’ll miss his second straight game when the Canucks, in a three-way tie for first in the Pacific Division, take on the Bruins on Thursday in Boston. Though Boeser had four points (two goals, two assist) in his last game, a win Nov. 2 against the Avalanche, he missed Tuesday’s loss to the Red Wings. He initially suffered the injury Oct. 18 against the Jets. Green said he’s hopeful Boeser can rejoin the team on their six-game trip. He has 11 points (four goals, seven assists) in 13 games this season. A Calder Trophy finalist last season, Boeser had 55 points (29 goals, 26 assists) in 62 games before suffering a season-ending back injury March 5 against the Islanders. The Canucks enter Thursday’s play tied with the Sharks and Flames atop the Pacific with 19 points.